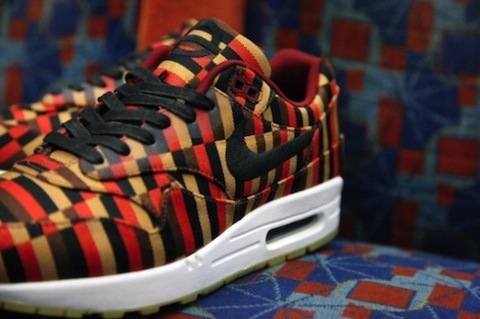 Nike Air Max 1 + Air Max 90 x Roundel – killed by resellers. 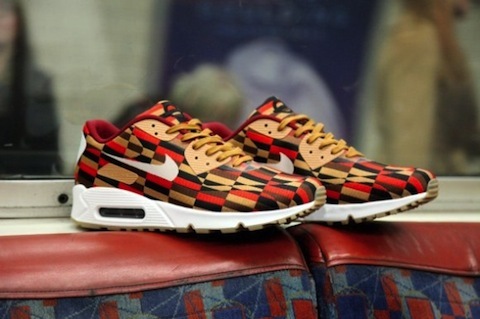 Yesterday saw the release of the roundel Air Max 2-pack paying homage to London with a make up featuring the iconic London Transport seat pattern on the uppers of both an Air Max 1 and an Air Max 90. And whilst they were a huge shout out to London and the UK, most of London and the UK couldn’t get a pair, just yesterday. And if you want a pair today you’ll have to pay double or more to all those resellers who in some cases appear to have copped a whole size run of this limited release. Now here at the Word on the Feet we’re not here to knock anyone’s hustle but surely this whole resell game in the UK is getting out of hand? How is it that a shoe that cost less that £100 yesterday will cost you close to £300 today? Many will say that you should have been out camping with everyone else and back in the days camping out would have been cool when you’re out there with like minded folks just hungry to have that shoe on their feet or in their collection. Now you’re out on line with the resellers who’ll be happy to sell you a pair for double bubble if you get to the front and your size is already sold out. Again we are not knocking anyone out there trying to make money but even at retail the corporations are making a mint out of us….now those on line are the ones shafting us even more. We don’t have the answers but either there needs to be stricter enforcement of the one pair each policy or more Tier Zero accounts given out, we’ll give it some more thought but something is definitely not right. A couple weeks ago Sneaker Freaker sold their Puma Blaze of Glorys from out of their office in Melbourne, until the global release some time after there was not a single pair for sale on Ebay. We think that says a lot and says a lot about the….soul having left the UK Sneaker Game in some ways, let’s hope it makes a comeback in 2014. Ridiculous… People are getting their wigs twisted because some people want to make a bit of cash after lining up for hours to buy the release (or giving themselves cramp hitting F5 repeatedly)? If they’re priced too high, they won’t sell. If you made the effort to try and get a pair, why wouldn’t you want compensating for your time? People have been reselling shoes for years and years: this is nothing new and certainly not worth a blog post. I am not sure why a post that questioned the state of the sneaker game and the whole resell issue that is actually somewhat of a new phenomenon in the UK is not worthy as you say. We could make more posts about Ronnie Fieg or Lebron James but we are actually trying to do something different with The Word on the Feet. Yes you’re right people should make an effort but when releases are ram raided by crews buying full size runs it can prove a little hard to get your size. Your point about prices maybe they are too high – the ebay screenshots we posted those pairs haven’t sold yet in addition to a bunch more added since then. So maybe the Roundel prices at present are too high. The roundel prices have fallen off big time in the last month or so. I’ve seen the 1s for only a bit more than retail om wavey kicks etc. Like any free market, prices will eventually correct themselves. It all comes down to supply and demand. Luckily I managed to cop both pairs I’m just waiting for the right time (and weather) to rock them! I hear that. I think what it is also is resellers are buying all the shoes and more and more people are refusing to pay the resell price which is def a good thing.